World championship quarterfinal 2005, Peter Ebdon is 2-8 down against Ronnie O’Sullivan. But in frame 11 the game starts turning and Ebdon fights his way up to a tough 13-11 victory. World Open final 2018: David Gilbert leads Mark Williams 9-5, only one frame away from his career’s first title, but Mark Williams wins in the end. This snooker quote of wisdom applies not only to David Gilbert, but to many others. Why is it so hard to cross the finishing line? When victory is almost palpable, many players start to shake. Perhaps they are sidetracked because in their minds, they are already celebrating; perhaps they cannot believe they are really winning … the list of reasons is probably long. And there are indeed active players who simply dislike beating their opponents. In order to cope with this pressure, you need a solid self-assurance and experience. The match between Peter Ebdon and Ronnie O’Sullivan showed clearly how important mental strength is in a snooker match. O’Sullivan was, in spite of his game-play superiority, not able to focus on himself and his game. He allowed himself to be thrown off-rhythm and clearly showed his frustration in his behaviour next to the table by dithering on his chair, laughing nervously, and in the end even asking someone in the audience for the time. On the other hand, Ebdons concentration was impressive. He developed his chances and let neither his own faults nor his opponent’s behaviour distract him from his game. Some people with sharp tongues claim that he never knows when he is beaten. However, the reverse is true: he has the extraordinary ability to never give up. „In individual games is a battle of you versus you, strong side versus weak side. And if you don’t have the mental strength to endure this constant battle, then slowly your mind will give you excuses to lose. Today is just not my day. He never played better. The balls are against me today, this is my unlucky day. That’s when the mind weakens und the loser loses and the champion steps up“. Sports psychologist Bill Beswick describes here another huge obstacle in snooker: to remain positive and self-assured during phases of idleness and to turn negative thoughts into positive ones. Mark Selby surely is the best known example for mental strength. Not many players are as able as him to struggle through tough matches. In 2014, he earned his first world champion title by exactly this ability. Players such as him are not on top of the ranking because they play so much better than everybody else, but because they have the more stable mind-set. Usually the self-assurance is not a natural given. Even active players with great game-play abilities struggle with self-doubt and mental stamina. During the past years it has therefore become more common to hear about them getting help in order to “work on the mental side”. Ronnie O’Sullivan, for example, had good progress from working with sports psychologist Steve Peters to cope with the pressure on him. Thus, the entire subject became more public. Top players such as Mark Williams, Ding Junhui, Barry Hawkins or Mark Allen worked with ex world champion and coach Terry Griffiths, and Chris Henry, ex-coach of Stephen Hendry, works with players such as Shaun Murphy and Mark Davis. But what are they actually doing? Mental strength develops from various factors and abilities. Among them are self-assurance, confidence towards self-doubt and defeat, blanking out disturbances, regulation of emotions and thoughts, and the joy of the game. Mental training aims at strengthening these elements. Routines are an important basis. When movements are internalised, a player does not need to think about them anymore and can save energy for concentration and stamina. The most important routine in snooker, the pre-shot, can be optimised by visualisation – the repeated, intensive thinking through of an ideal movement, though without actively exercising it. The more routined a movement, the higher the self-assurance. 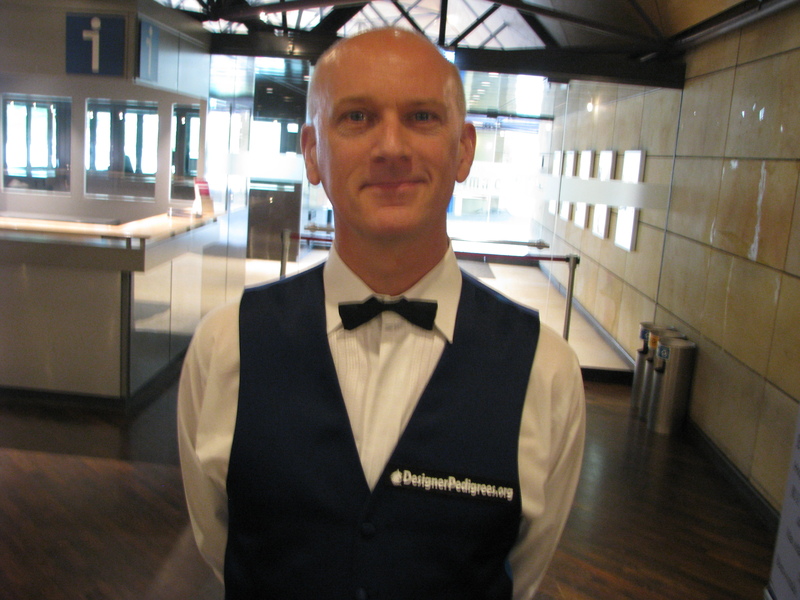 I met Peter Ebdon at the Paul Hunter classic in Fürth and asked him what success would mean to him there. His reply: „Winning the first frame“. To focus only on the immediate can help to avoid negative thoughts. Ebdon also uses other techniques, but his main basic tool is breathing. „I have to breathe anyhow. Doing this consciously helps me focus on my gameplay“. Conscious abdominal breathing does not only supply brain and muscles with oxygen, it also focuses one’s attention from thinking to the body, where it is needed for the next routine. Paul Hunter won his three Masters each time after having been down in the deciding frame. Even being down by a large margin, he always gave a positive impression. Colleagues say about him he had played each ball as if it was the first one of the match. The ability to always stay positive and not take past mistakes over to the next shot was the basis for such prosperity despite high pressure. In order to reinforce positive beliefs and activate existing potential, it can be helpful to work with the resources one has when all abilities, positive energies and strengths are there. By remembering past successes a player can transport his resources he had then, to a situation when they are needed. Other techniques in mental training include: dealing consciously with emotions, a clear objective target, positive affirmation (guiding principles), stopping self-doubt, and practising a realistic self-assessment. The pressure is high even on the lower end of the world ranking list, and the players can use each bit of help they can get to hold their ground. Especially players in their second year of their two-year ticket to the main tour feel the pressure „to survive the tour“ – this becomes eminent when we see them losing matches they would have won the year before. Many of them enter their matches positively, and that is a good start. However, the unconscious plays an extremely important role for maximum performance, and a positive attitude alone is not enough to access one’s full potential. Insecurities show for example when the frame ball is missed disproportionally often. Mental training can help here to access the full potential and withstand the pressure. The German version of this article is published in the German Masters programme. Translation: Filia Rheni. Good article, Lula. Just spotted a typo. Ebdon 13 – 11 O’Sullivan was a World Quarter Final in 2005, not the final (Shaun Murphy, being the first qualifier since Terry Griffiths won eventually that year – I think!?). 08.03.2018 - Mark Davis: It’s all about winning.